The changing lives of British expats in South Africa are to be examined by two university academics that wanted to find out the effects of recent political and social change. Dr Daniel Conway of Loughborough University and Dr Pauline Leonard of the University of Southampton want some of the estimated 212,000 British expats in South Africa to get in touch. There are more British expats in South Africa than in France and only slightly less than in New Zealand but there is not much understanding of what motivated them to move and what kind of lifestyle they now lead. Those who moved in the last few years have witnessed dramatic political and social changes in the country. Conway believes that many people now look upon South Africa as an option on a par with Canada, Australia or New Zealand as an English speaking country with lots of opportunities. The report, which is to be funded by the British Academy, will examine what life is like for the people who live there and how life has changed in South Africa since it became a democracy in 1994. This project aims to explore the extent to which continued British expatriate presence in South Africa’s changing political context has been accompanied by a meaningful shift in political and social positions, in accordance with the country’s aim to construct an egalitarian and multicultural Rainbow Nation. ‘British immigration has been a longstanding feature of South Africa’s history, being a key tenet of the Union Government of South Africa, formed in 1910 after the Boer Wars. 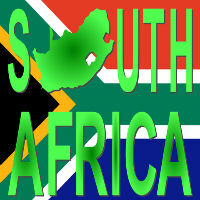 South Africa has consistently been a very popular destination for British expats. The turbulence of the economic and political circumstances of South Africa and its relations with the UK over the 20th century has meant that the extent of migration has fluctuated considerably. Of all the white immigrant nationalities, British immigrants were consistently and by far the largest community, comprising between 45.6% and 30.2% of annual immigrant arrivals between 1946 and 1987,’ the academics point out. ‘During apartheid, British migrants’ whiteness had profound legal, political, social and economic significance. However, their privileged status was mediated by the dynamics of the broader white society, politically and linguistically fractured as it was between Afrikaans-speaking and English-speaking whites. The ambiguity of British born residents’ political status and the National Party’s suspicion of English speaking whites more generally underpinned governmental decision making during apartheid,’ they point out. ‘Whilst the majority of British migrants in South Africa were typical in their tacit acceptance of apartheid, some British residents, a broader number of English speaking whites, and a smaller number of Afrikaans-speaking whites did openly defy apartheid. Apartheid’[s eventual ending brought significant economic, political and social implications for British migrants of all political positions and those who stayed on in the new non-racial democracy have had to construct anew the racial configuration of their identities, relations and attitudes,’ they added. After 1994, a new generation of British people has made South Africa their home so the research is needed to look at what is happening now, they believe. They are urging anyone willing to take part on the study to get in touch with the following address. Next post: What Does The Continued Low Interest Rate Mean For Savers?